Apartment in Recoleta, Buenos Aires - Cielo ! 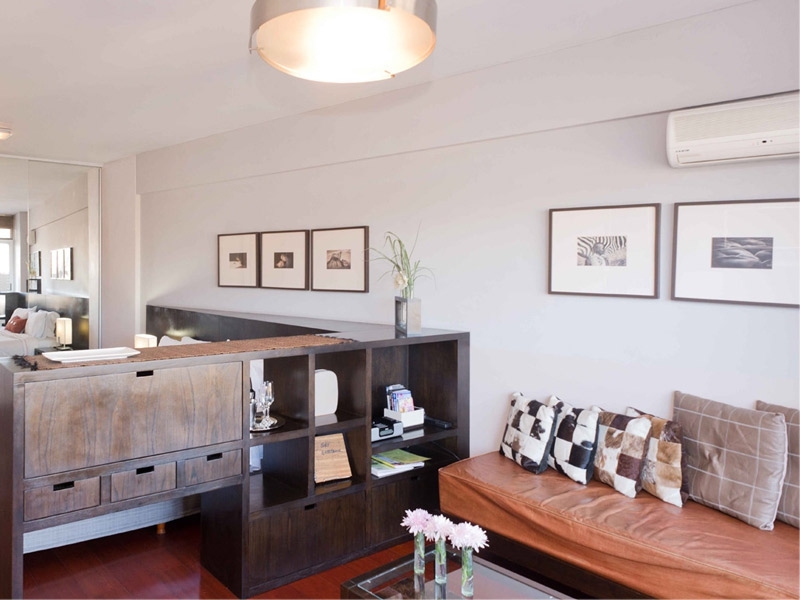 This 540 square feet studio apartment is in a modern building just four blocks away from Recoleta village with its great bars and wide choice of restaurants. 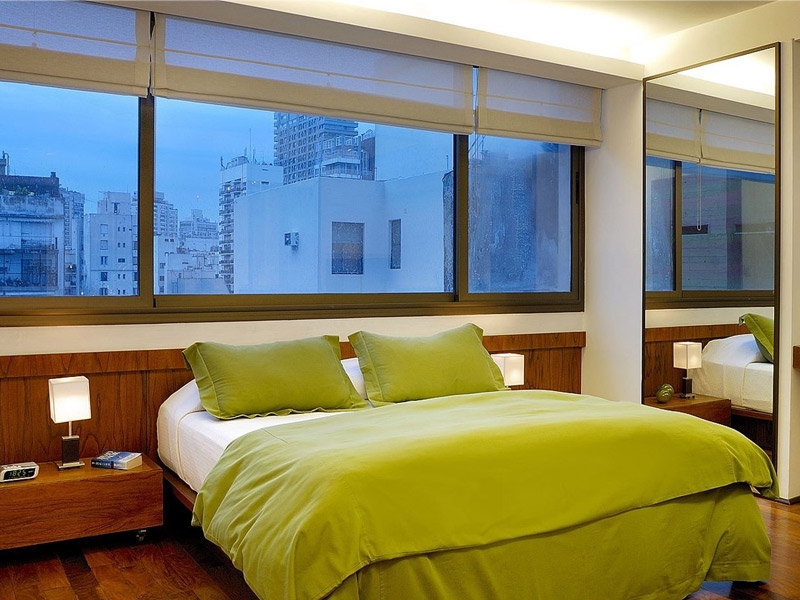 Completed to a high standard in 2009, this studio apartment for rent in Buenos Aires sits on the upper floor of the building and benefits from cityscape views and its own private balcony. The apartment is open plan in design with comfortable seating, dining table and chairs, Cable TV and Wi-Fi. The sleek contemporary kitchen features marble counter tops, high end appliances and a useful breakfast bar. The bedroom area is part divided from the living area with king size bed and views out of the sliding glass doors. The bathroom is well appointed with tiled floors and walls. This high end building benefits from 24 hour security, rooftop pool, BBQ area and terrace. Enjoy the freedom and space of your very own private apartment in central Recoleta, a great base to explore the city from.